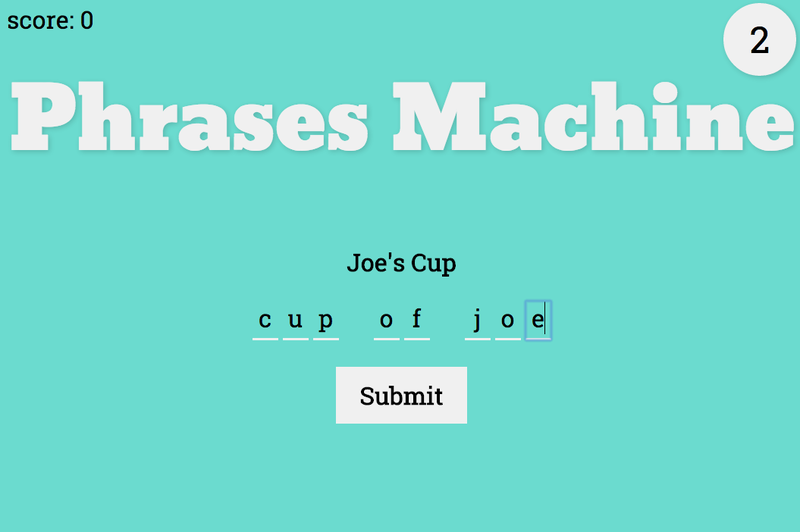 Phrases Machine is all about what happens with machine translation. 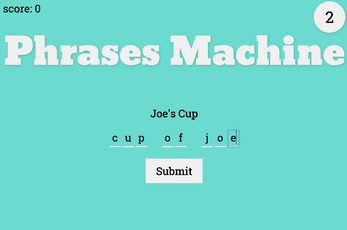 The game is to guess the original phrase from the backtranslated phrase. Most of the idioms used have no direct translation into whatever intermediate language was used. 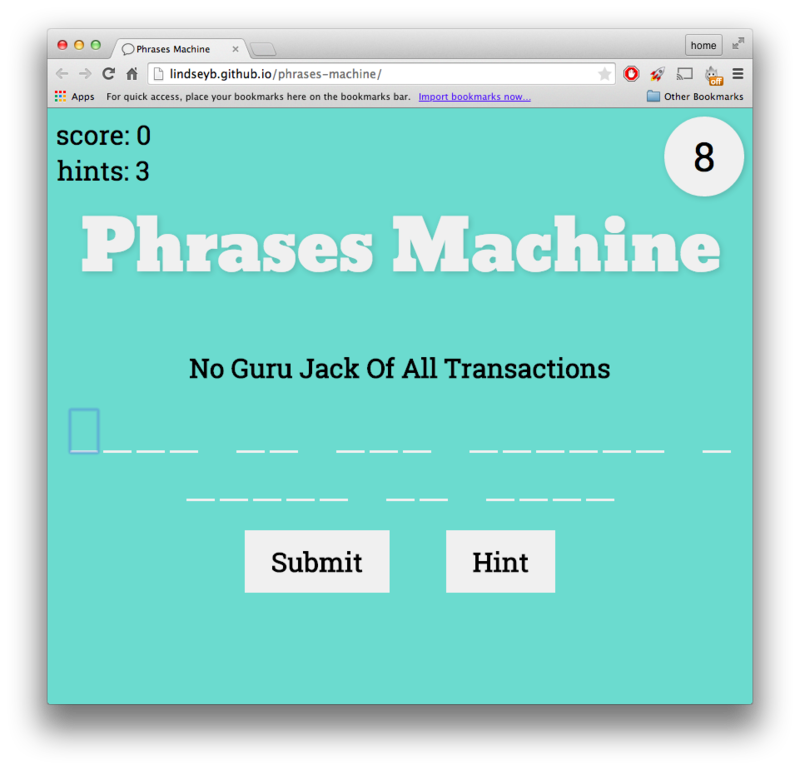 The game has difficulties set for each of the phrases, but if you are stuck you can click the hint button which will reduce the difficulty of the phrase. 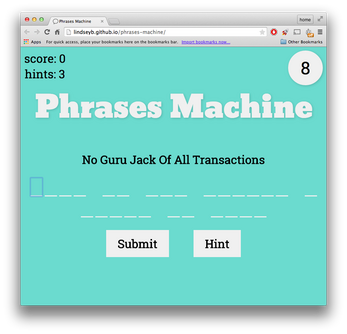 However, you only get three hints per phrase and the points you get are equivalent to the difficulty of the phrase.